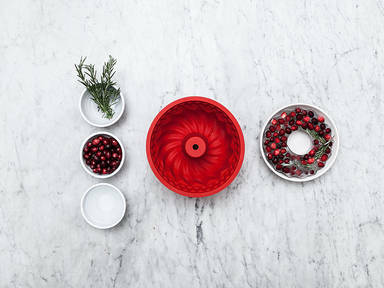 Add cranberries and rosemary to a bundt pan and cover with water. Transfer to freezer and freeze for approx. 8 hrs., or overnight. Unmold ice ring and transfer to a punch bowl. Enjoy!